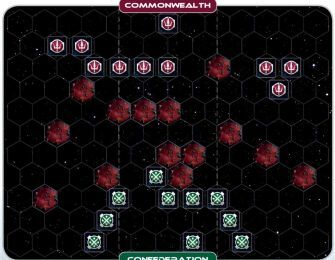 Almost halfway across the galaxy near the sector know as the Cardinal’s Belt, news of the declaration of war reached the two task force commanders. 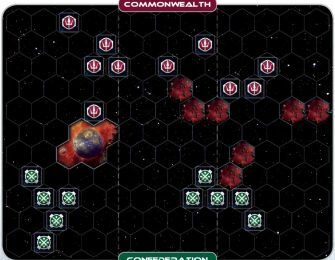 Although there was nothing really to gain in this sector, except for bragging rights, the two commanders set about vying for position before launching their attacks. 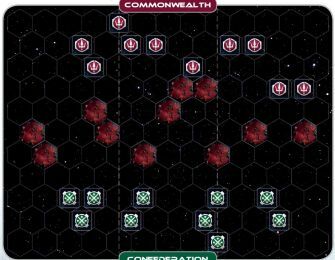 In this scenario, as well as the rest of scenarios, players will have the opportunity to use task force cards, purchase support vessels and deploy their units onto hexes of their own choosing. 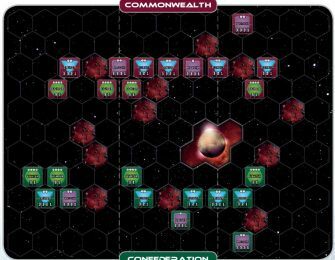 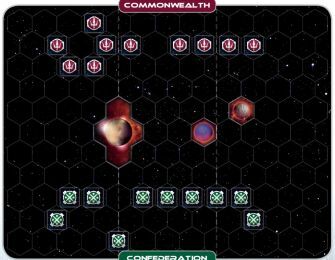 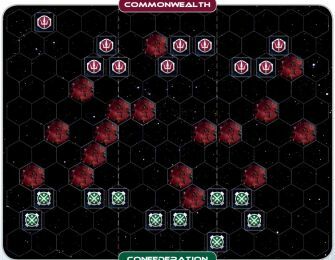 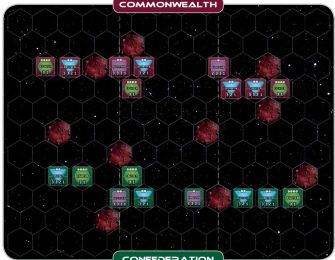 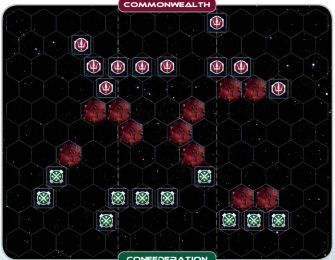 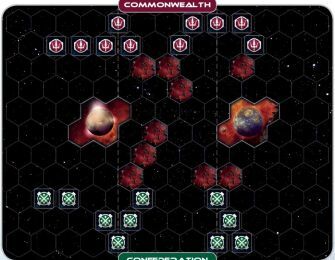 During set up, place faction markers as well as space features. 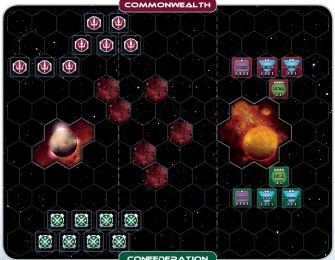 Shuffle and draw one task force card at random and purchase 40 points of support vessels.